The controversial energy extraction method known as hydraulic fracturing, or fracking, will take an important step toward greater transparency and oversight, if regulations proposed in Sacramento on Friday are enacted. 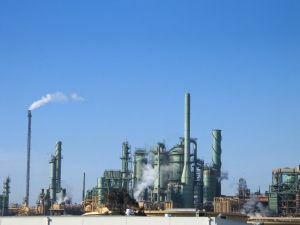 However, Bay Area toxic tort attorney Gregory J. Brod remains concerned that California residents in or proximate to the drilling areas may still be exposed to some potentially harmful consequences. The proposed new regulations, detailed in the San Francisco Chronicle, would require oil companies to obtain a specific permit to frack a well in California. An earlier proposal did not require the permitting process. The proposed rules would also mandate that the oil companies reveal the chemicals employed in fracking as well as monitor nearby groundwater for any signs of contamination. Fracking involves the injecting of a highly pressurized mix of water, chemicals and sand deep into the ground in order to cause the cracking of rocks and thus liberate the oil or natural gas locked within the shale formation. Fracking has an equally controversial close cousin, known as acidizing, in which a type of acid is pumped into vertical wells to create pores in rocks and thus release the petroleum within. Both fracking and acidizing have raised concerns about potential groundwater contamination from the chemicals used in the procedures as well as caused jitters in nearby communities where seismologists suspect the extractive methods have triggered small earthquakes. And at the nexus of these worries in the Golden State sits the massive Monterey Shale formation, which stretches through the southern San Joaquin Valley and the adjacent Coast Range and traps a potential 15.4 billion barrels of oil, the largest such formation in the nation. The proposed fracking regulations are a welcome step toward greater public safety but, as the GAO report suggests, many of the consequences of fracking may be literally too subterranean for its ills to be avoided. As in the case of any toxic tort, the ill effects of exposure to harmful chemicals often do not manifest themselves until a significant period of time has elapsed. But, as in any case where one has been harmed by exposure to chemicals, it is important to seek experienced legal counsel in the field as soon as possible. If you or a loved one have been sickened by harmful chemicals through no fault of your own, please contact the personal injury attorneys at the Brod Law Firm for a free consultation.